With its astonishing scene out in the Asian Pacific with some idyllic landscapes and wonderful islands, Bali is the perfect destination for a romantic gateway! You would find plenty things to do in such a beautiful place in couple, but here are things you can do to share an unforgettable moment with your beloved one! For a couple, one of the most mainstream ways to show your affection is to have a romantic dinner. 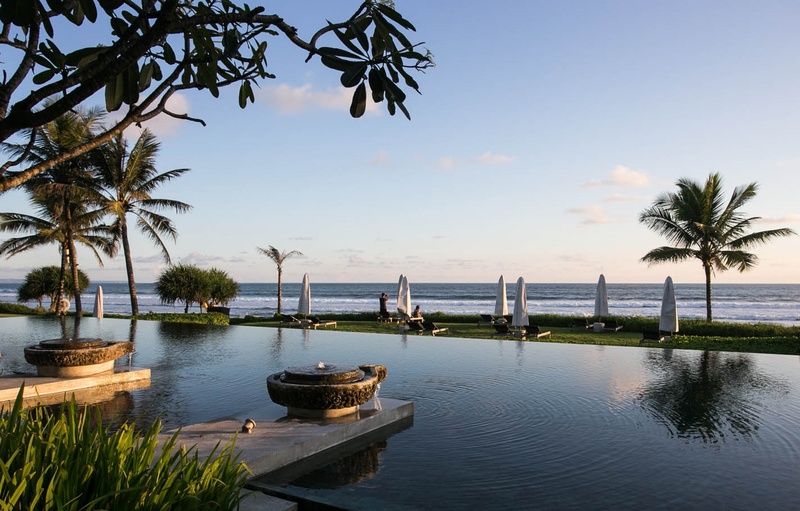 Bali is blessed with breathtaking views and landscapes that would make you feel in a dream, with a wide variety of places to eat for each taste and for all special events: whether it is for an anniversary, a honeymoon or just a simple romantic holiday. You can have a picnic dinner in bed with the waterfront and the sunset as an outstanding view. 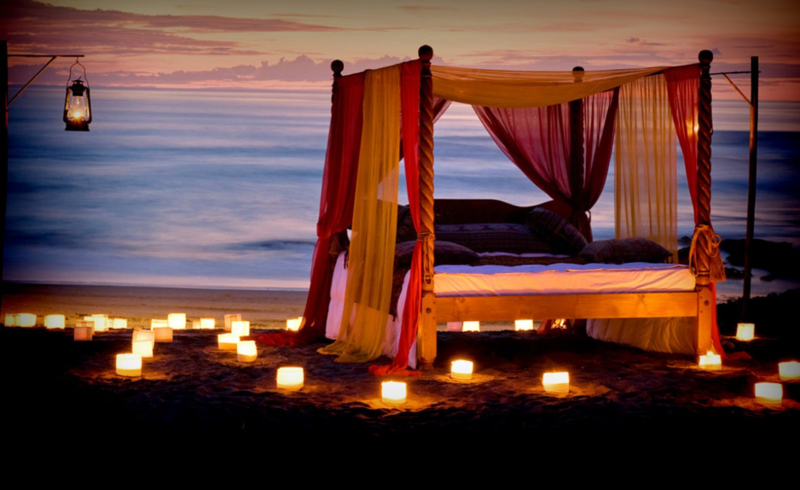 Taking place at the upper-class Hotel Tugu Bali, you would be surrounded by candles all around you on the beach, and serve each other dessert blindfolded to give a special taste to this picnic. It may be a cliché but it is so romantic in such a beautiful scene. 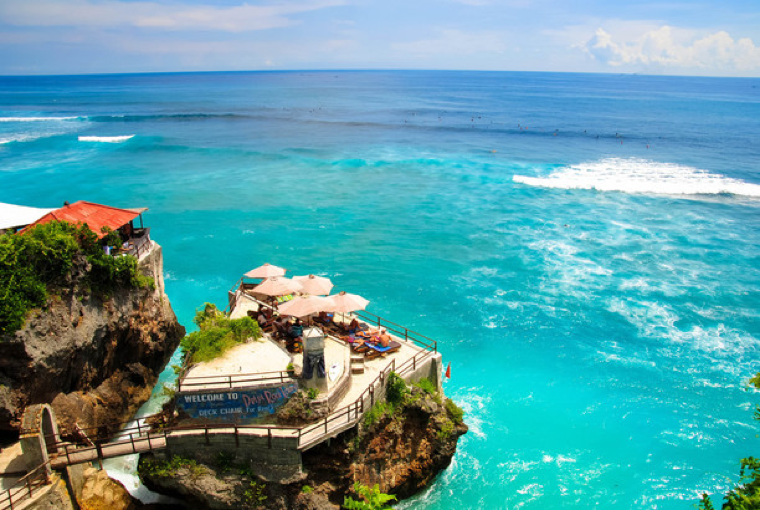 Uluwatu is the trendy spot of Bali, comparable of places like Seminyak and Kuta. We can find one of the nicest views of the islands and infinite number of hotels and unbelievable pools. Among all those hotels, you would be able to choose to dinner at the oceanfront, surrounded by the bunch of flowers petal, with a table which offers you an astonishing view of the Indian Ocean. You would also have the choice between 3 different menus to impress your beloved one, and make this night unforgettable! 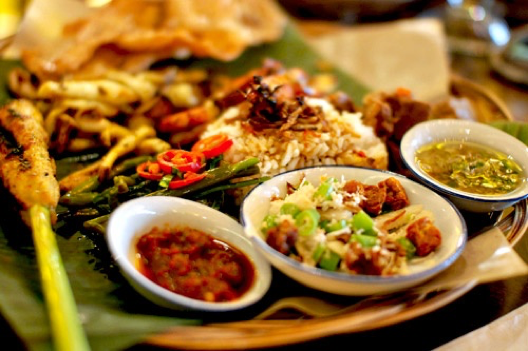 It is also time to try Indonesian specialities that are can be sweet, sour or spicy but always delicious. 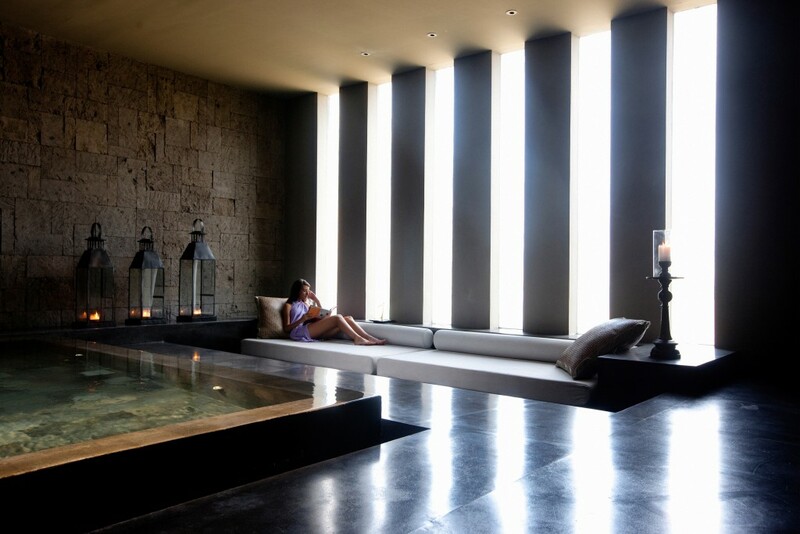 You could also opt for something more luxurious with the spa in the 5-star hotel at Uluwatu, and take advantage of the sunset and relax in the meantime! 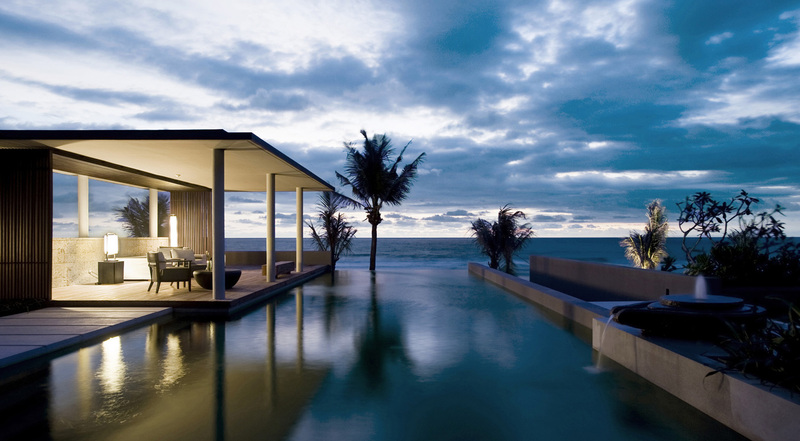 By far the most luxurious possibility, you can dinner in an oceanfront hotel in a bucolic scene. 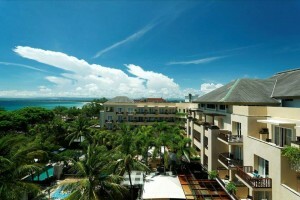 A view overlooking the Indian Ocean and give you’re a breathtaking panorama! Having dinner at this hotel would bring you into a romantic universe, worth of the greatest sentimental movies! You didn’t travel through Bali if you haven’t spent the whole day exploring the astonishing sea and islands in Bali. Among the different islands you can find, from the Nusa Penida to the Nusa Lembongan or even the Nusa Ceningan, the landscape would bring you unforgettable souvenirs. Among all these islands and choices you have, you can pick the catamaran with a luxurious cruise for Nusa Lembongan! If you come to Bali between the 1st of April and the 31st of October, you would be abe to see the shipwrecked at Nusa Penida, and lead you to the sea of Crystal Bay with a spectacular white sands beach. 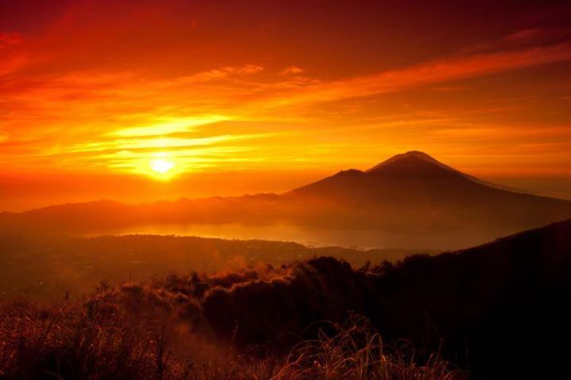 If you want to stay away from the crowd and stay with your sweetheart, why don’t you go for a trek and cross the magnificent landscape of the Mount Batur? The Balineans are used to say you haven’t really visited Bali if you haven’t been on the top of the Mount Batur and seen the active volcano, with its peak lost in the clouds. You would start your trip from 3:00 in the morning where we will bring you to the hiking road, which will lead you to the clouds! The ultimate reward at the end of your trek will be a terrific sunrise, which will immortalise this moment with you two. After all this time spent in hiking the Mount Batur, you can take a rest with a massage! This would help you to stay sharp after this long effort, and give you a chance to relax. 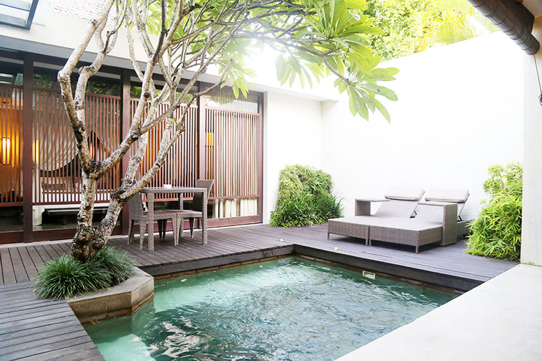 You can choose among several spas like Amala Spa, which is a reference in Seminyak! 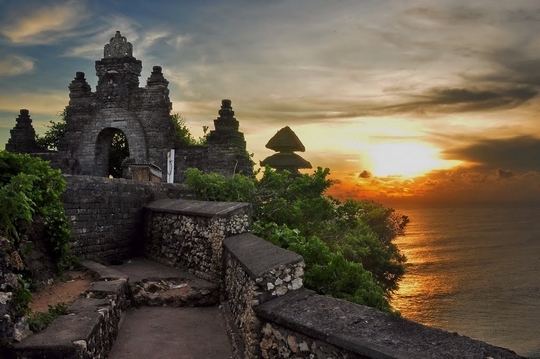 You have to pay close attention if you would like to visit popular sites like Tanah Lot and Uluwatu. The traffic is always awful, and can ruin your honeymoon! Why don’t you book a ride for the two of you in the helicopter? You will have a splendid view on the Kuta coast, the Ubud gorges, or even the volcano crater on the Mount Batur, all of these sites comfortably in your seat! 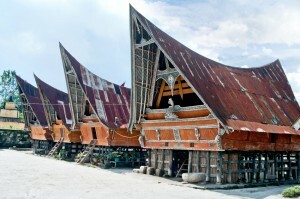 Do you like the local handicrafts from Bali? You would be inspired to create your own jewellery to immortalise your trip! From a simple bracelet to pendants, it will be a good souvenir of your trip. Some couples just prefer to relax, but sometimes, nothing is better than having some adrenaline and have the heart beating wildly! 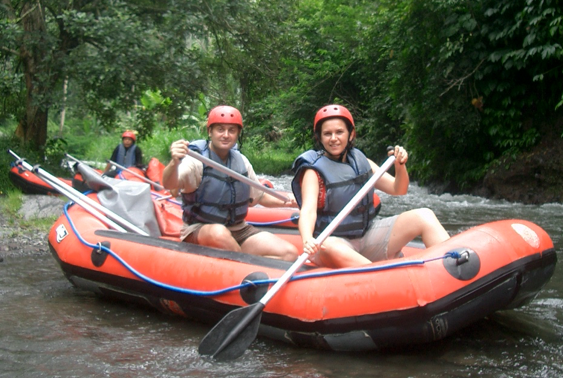 You could do plenty activities in couple, like rafting or even canoe, and there is nothing better to get closer to your beloved one. You would also be able to profit from the beautiful landscape around! If you are not afraid to get dirty together, you can book a private cooking lesson. This would bring you the opportunity to explore the subtleties of the Balinean food with your sweetheart. A preference for outside course, where you would appreciate the view of rice fields with your own eyes! 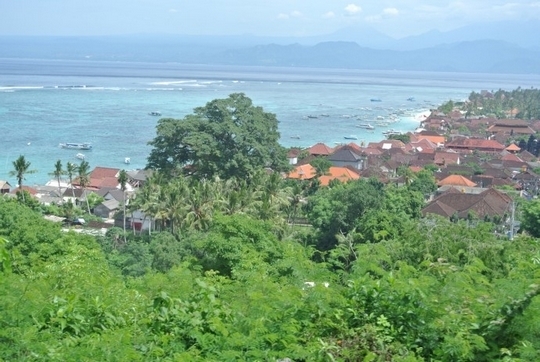 If you want to do some exercise, book a bike tour through Bali. 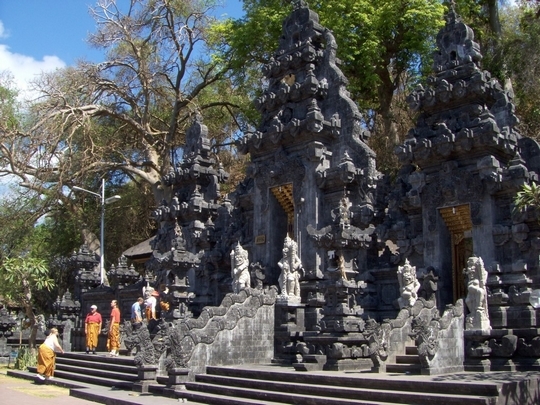 The visits are in slope and provide a totally different experience of Bali. You would have different landscapes to watch as well. Among the breathtaking view overlooking the rice fields, to the mountains around, you may have a chance to visit a local temple or even a cacao plantation! 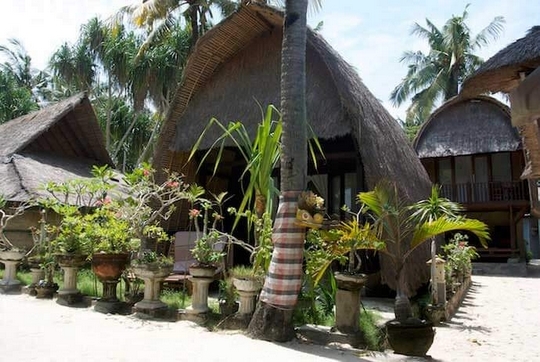 If you are on a honeymoon or making a trip in couple, Bali is like heaven with its uncountable hotels and villas, famous for the romantic scenes they offer. 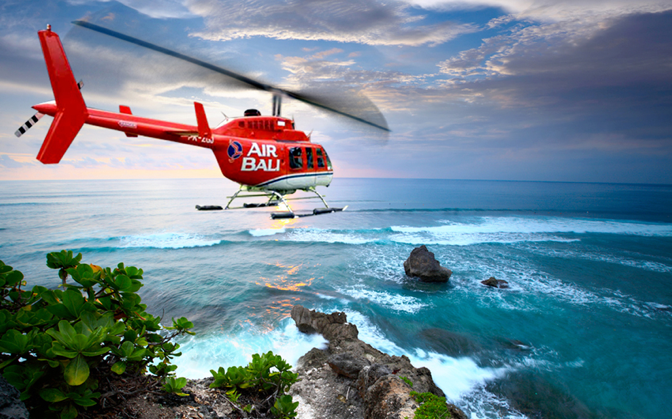 Several packages have been created to the destination for Bali, to adapt to the couple’s needs, who want to spend a memorable time there. Indonesia is seeing increasing growth in the number of foreign tourists, with arrivals growing by 7.19% last year to 9.44 million. 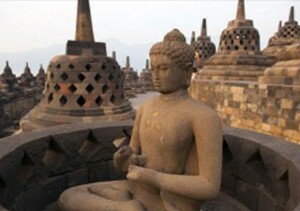 Between January and April of this year, foreign tourists have made 3.05 million visits to Indonesia. But we have not spent the peak period yet so an increase can still be expected in later quarters. These tourists represent a great target and bring money to the country helping it to develop its GDP. 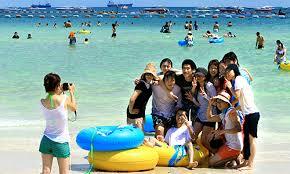 Each foreign tourist spent an average of $1,200 per visit. The peak travel period is usually during the dry season between June and October because the weather is perfect, it does not rain a lot, and the sun is always present. 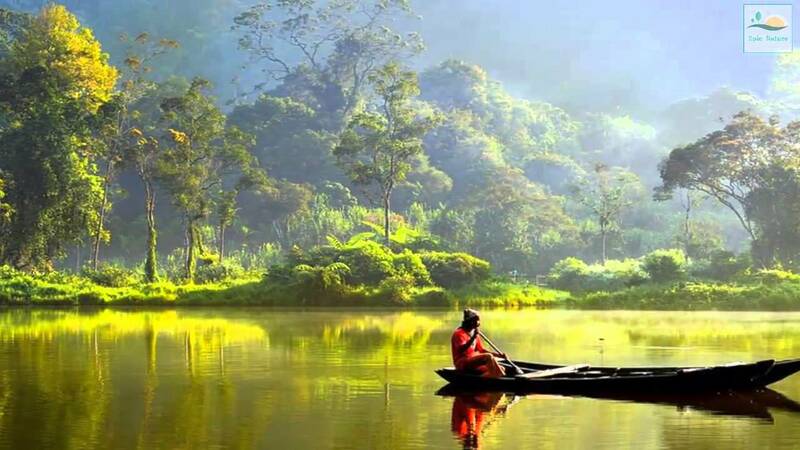 However, lots of people escape the cold winter in their country to enjoy the cool weather of Indonesia in December. 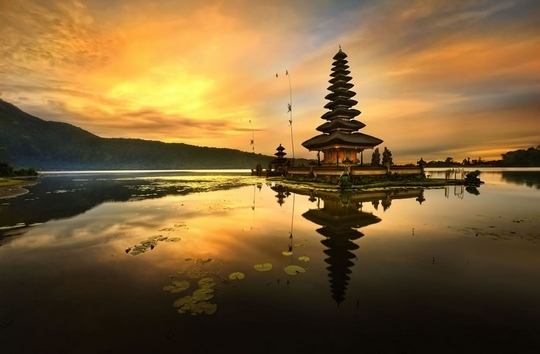 The most popular destination in Indonesia is Bali. 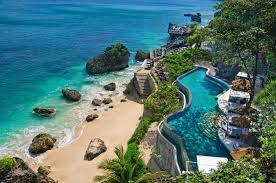 It is renowned especially for its surfing area in Uluwatu, in the south of the island but not only. 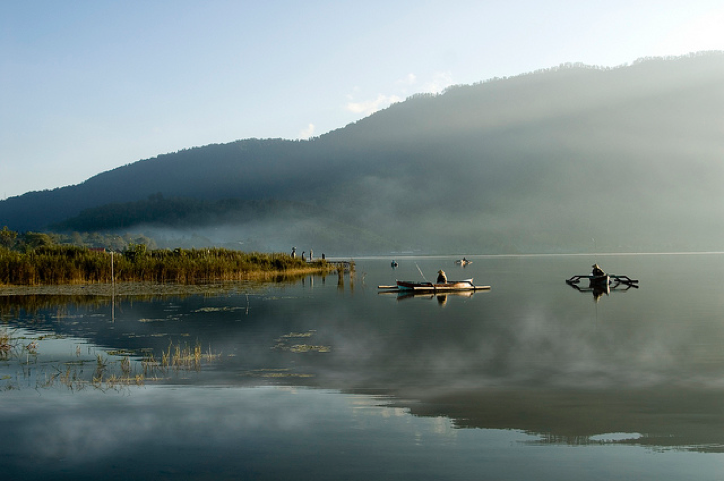 In Bali we can admire some rice paddies near Ubud, chill out on white sands beaches or even dive in the north. 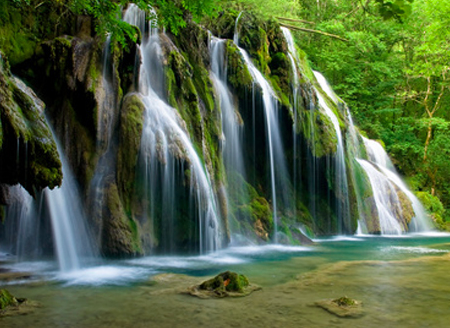 Everything is pleasant, and the landscapes are diverse from lush vegetation to typical temples or paradisiac beaches. A tourist stays in Indonesia about 7,6 days. It is average as tourists from Europe spend up to 12 days to make profitable the time spent on the plane and the high price while Asian visitors spend around five days. 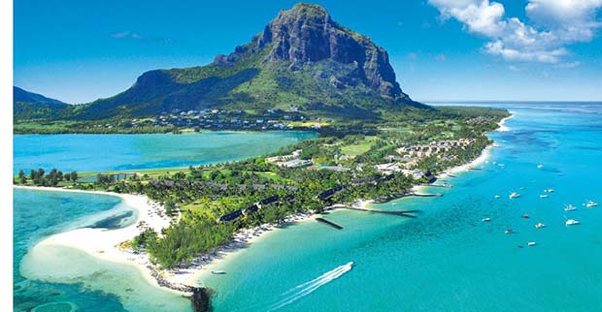 The Ministry of Tourism aims to increase tourism’s contribution to the country’s GDP from 9% in 2014 to 15% by 2019. For that, it has a budget of 1.3 trillion rupiahs this year equivalent to $98.4 million. It has more than quadrupled the budget from 2014, which stood at 300 billion rupiah. Then, the ministry wants to increase the average time of staying up to 10 days this year. It is a big challenge, but it is possible as the country is attracting more and more travellers. 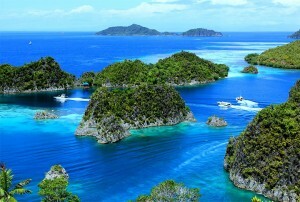 To do so, it’s launching a promotion of several new locations and attractions beyond the popular resort island of Bali. It is also hoping to draw more locals to domestic travel. There is a particular emphasis on Chinese tourists because they represent a colossal target with 1.3 billion potential visitors. 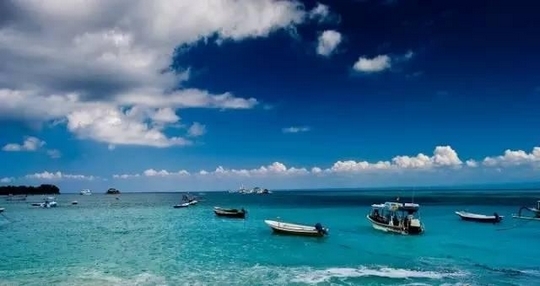 The ministry launched some ads on China Central Television (CCTV) to focus on Chinese travellers. 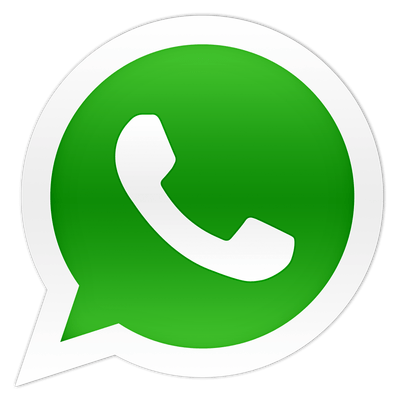 After it decided to promote Indonesia through international media, including prominent travel and natural science magazines as well as television advertisements overseas. 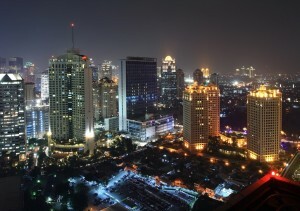 The ministry is promoting cities such as Yogyakarta in Central Java, Medan in North Sumatra and Makassar in South Sulawesi. 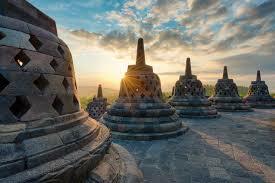 These cities display a combination of culture and nature that the ministry believes will appeal to travellers. 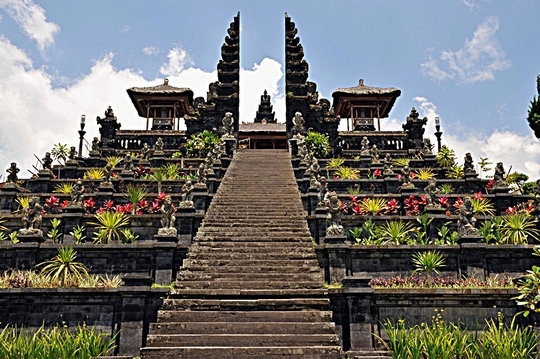 The goal is to motivate people to go to other destinations than Bali because obviously, Bali is nice but Indonesia is huge, has many islands and offer a vast range of landscapes and attractions. However, to increase the travels to others islands, the country has to improve its transportation infrastructures. Nowadays, there are some trains or buses connecting the main islands but it takes some time and can be complicated to organise before arriving. 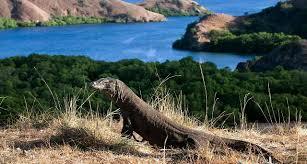 Direct flights will begin later this year to Komodo Island helping ease access for visitors who currently spend half a day in transit to reach the destination. Thus, travellers will be able to see the emblematic dragons quickly. 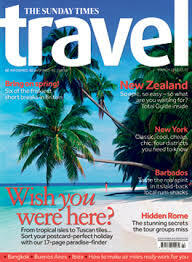 There are now 251 million trips made by domestic travellers. They move in their country to travel mainly but some go for a business purpose. The minister also wants to develop the domestic trips because there is a significant potential. 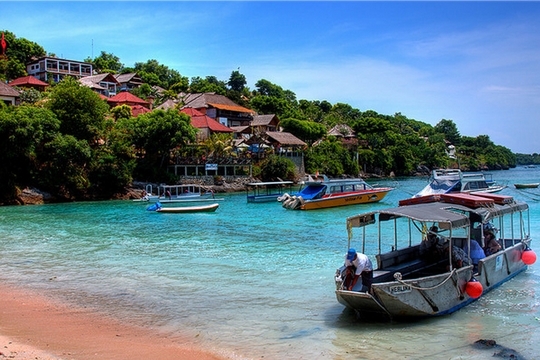 More domestic travellers stay within Indonesia rather than travel overseas due to the weakening of the rupiah, which makes foreign travel more expensive. 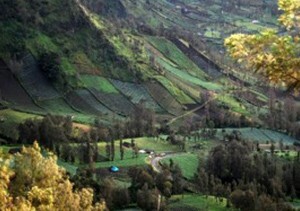 Ubud is known as the spiritual city of the island, away from the touristic area, the crowded Kuta and the wild beaches. 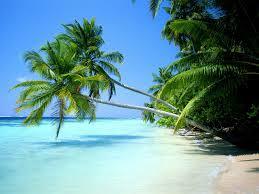 It is located in the centre of the island and so is the best place to practice yoga. Yoga is a physical and mental discipline which originated in ancient India. It is part of the Hinduism and Buddhism religions so you should try it in Indonesia if you want to live a typical experience. Still in Ubud, you can find healthy food restaurants such as vegan, vegetarian, gluten-free, raw, organic, microbiotic and so on. 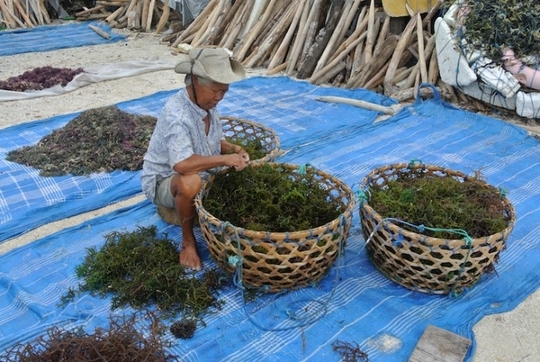 It is trendy nowadays and is good to savour under the hot weather of the island as it is fresh and easy to digest. We can advise you to go to Seeds of Life if you are looking for raw food, Warung 9 for a super cheap vegetarian buffet. 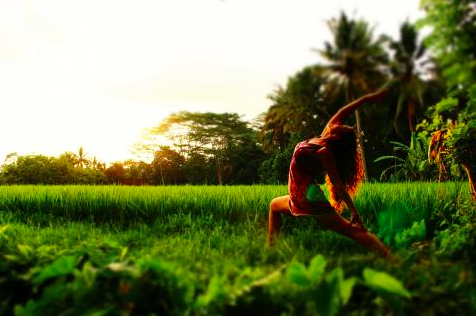 Or you can try AA Juicery & Cafe offering yummy breakfast bowls with a beautiful view on rice paddies, Dayu’s Warung, a gluten-free concept, Kafe Ubud proposing great burgers with vegan options, and Clear Cafe for microbiotic and raw choices. If you just want to drink something or need wake up after a hard party night, you can go to Seniman for the best coffee in Bali. Don’t miss out on an encounter with these cute animals and visit the Sacred Monkey Forest in Ubud. You can also see plenty of monkeys around the Uluwatu Temple, in the south of Bali. But be careful because these furry creatures can get very mean. They grab everything they can and stole your stuff without any fear. It could be your food but also your new Ipad with which you are taking pictures. So keep a safe distance to them! The Balinese people love to dance, and it is part of their culture. If you are lucky, you will be able to see a ritual show with dancers in spectacular costumes. 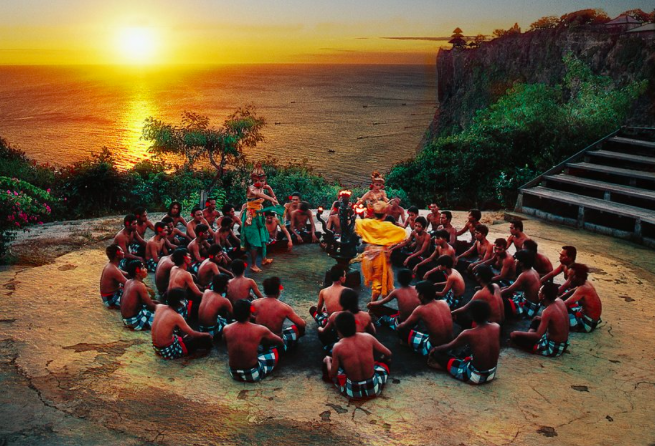 One of the most popular performances is the Kecak Dance Show in Uluwatu where you could admire scenic views of the ocean at the same time. The performance is happening every night at 6 PM. What does it like? The male dancers are seated in a circle and do sounds just with their mouths, while the female dancers do incredible movements, using all parts of their bodies even their eyes. If you’re dreaming of picture perfect white sandy beaches and azure waters, you’d better leave the main island of Bali and hop on a boat to nearby islands. Favourite getaways are Nusa Lembongan or Nusa Penida, just to the east of Bali, where you can find paradisiac beaches perfect to chill, tan and enjoy the sun without the discomfort of the crowded south of Bali. 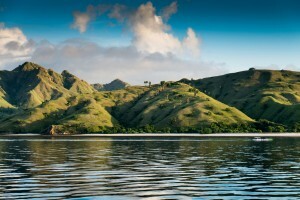 You can also go to the Gili Islands, you can reach them quickly and easily by speedboat within two hours. 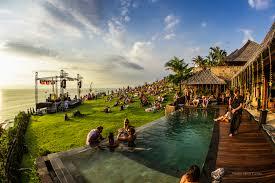 There you can relax or dive but also partying especially in Gili Trawangan.